My favorite way of doing speech-language therapy is with books. I have always loved to read and I enjoy bringing stories to life for my students the way some of my most beloved teachers and librarians did for me. I'm sure you've seen the term "book companion" floating around the blogosphere. 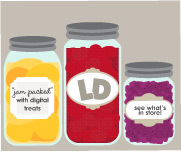 These are great products that support the way you're already reading books to your students. Many of these products include games and activities to accompany the book but all of them target a skill or goal that your students have. The best ones create an entire week or more of therapy ideas and lessons - and all you need is a copy of the book! If you're anything like me, you've got quite a collection of children's literature and you probably already own the publications you'll be needing for the book companions out there. But, if you don't have a personal copy, ask around your building. Teachers are great about sharing with SLPs and I've been able to find almost all of the books I've wanted in my school's library. Once you're stuck on the book and the amazing activities that go along with them in the book companions you'll want to have your own copy. This posting contains AmazonAffliate links for your convenience. I've begun working on a book companion product that is Hanukkah themed. I hope to add to it in the coming school years. My students aren't usually aware of the traditions that people of the Jewish faith practice each holiday season. This product will help them to understand the magic that is The Festival of Lights. 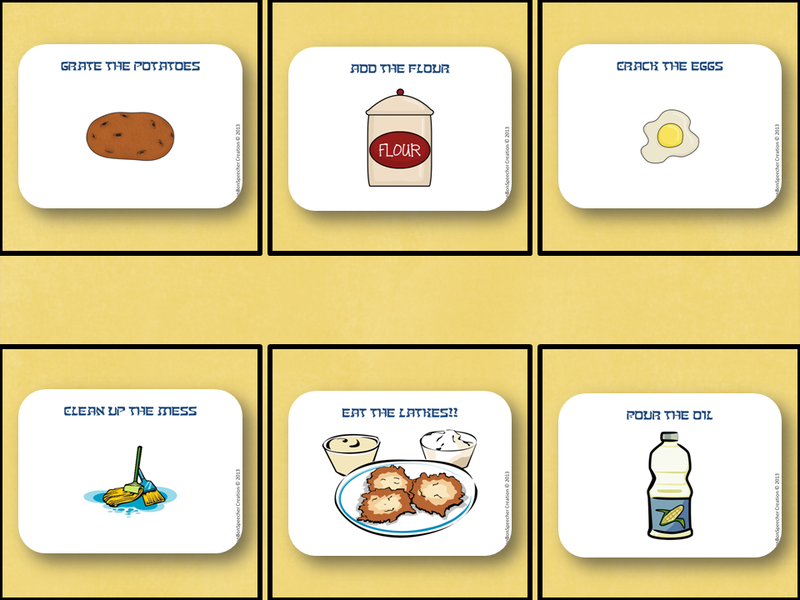 With this BonBonSpeecher product students can make latkes, the delicious fried, potato pancakes with the game that goes well with Mrs. Greenberg's Messy Hanukkah by Linda Glaser. There is also a sequencing activity for this book. The site requires version 6 of the Flash Plug-In. The BonBonSpeecher product includes two sets of comprehension cards for The Magic Dreidels book. One set is only text and the other set has picture choices for younger students. Most of my students are very familiar with Christmas. Many have not even heard of Hanukkah. 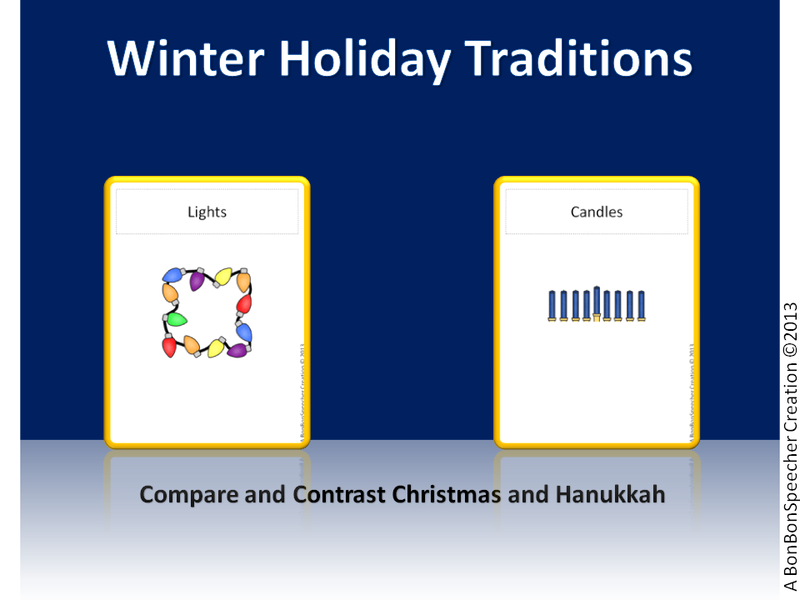 The two holidays share a lot of similarities and students can compare and contrast the winter traditions of Hanukkah and Christmas with the story of little girl who gets to celebrate both holidays in Light the Lights! by Margaret Moorman. The book companion contains vocabulary cards that can be used in a Venn Diagram. 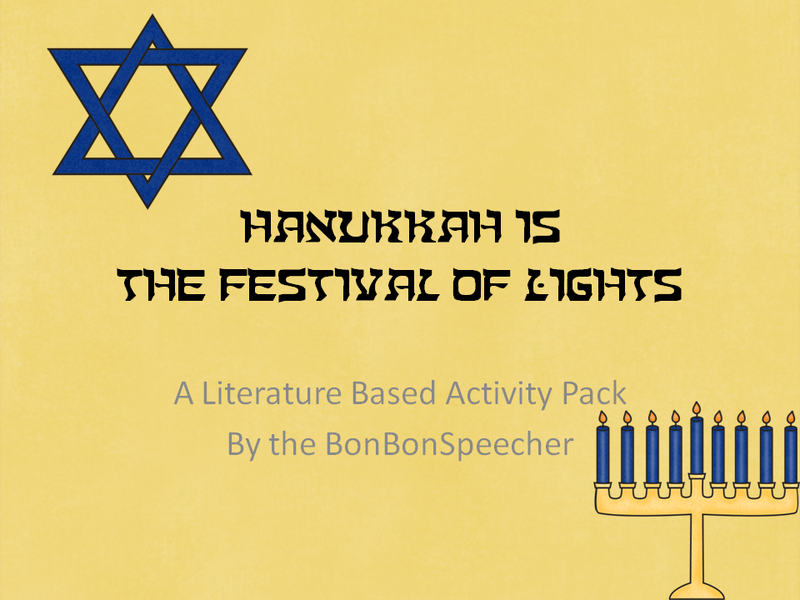 I would also suggest some of these games, books and songs to complete your study on The Festival of Lights. If you check out the preview file for Hanukkah is The Festival of Lights at Teachers Notebook, you'll find a SWEETIE - a free vocabulary activity! Also, be sure to enter the giveaway at TN! Giveaway ends on December 6. I hope you enjoy your Holiday Season. And as they say here in the UK - Happy Christmas!